Image: Condominium, created by Laurence Gartel on an Artron PC-2000 Studio Computer, 1983, via WWWTEXT archive. 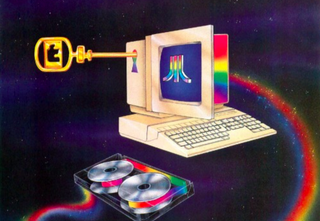 Image: Advanced Graphics: Architecture, from the HP 9845C Color Graphics Demo, 1980, via WWWTXT archive. As FastCo detailed this week, digital artist and media archaeologist Daniel Rehn has compiled the oldest internet archive yet, called WWWTXT, with images and text dating back as early as 1980 curated from chat logs from Usenet and BBS forums and the like. It's a veritable treasure trove neon digital retrofuture relics, and a rare glimpse into the net of my birth year. But it gets even better if you wait a few more years. Around the time my younger brother was born, the really good stuff emerges: early internet depictions of the cutting-edge technology at the time. 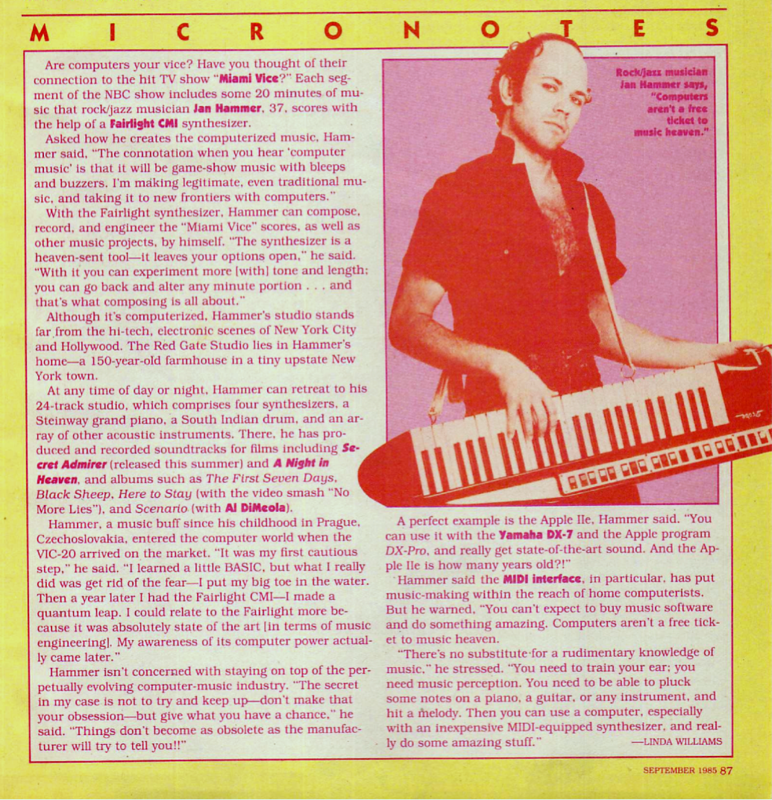 This is Jan Hammer, the keyboardist who did the score for Miami Vice, expounding on the virtues of the synth in 1986. He warns, "computers aren't a free ticket to music heaven." I was 3. At 31 I gotta say, they pretty much are, Jan. The whole archive of images and text snippets ("Do you talk to the computer as if it could hear you? Does it ever talk back?") are worth perusing; check them out at WWWTXT.org. But here are a few more of my faves—1980s tech as told by 1980s tech. Merry Christmas ye history lovers.